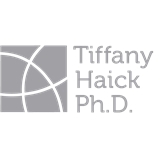 Dr. Tiffany Haick Psychologist, PLLC (New York) - Book Appointment Online! I loved seeing Tiffany Haick. I thought she was very easy to talk to and really heard me. I believe she got it at the first meeting. She is funny and inviting. I would highly recommend.